In asking about the intrinsic purpose of both formal and informal education, Ornette D. Clennon discusses the need to challenge Eurocentric epistemologies by discussing Gurminder Bhambra’s concept of “connected histories” that challenges the field of historical sociology to take a less Eurocentric approach to espistemology and historiography. Clennon also looks at supplementary education as a potential site for an African Philosophy of Education, namely Ubuntu that by using a social justice based critical pedagogy, embodies elements of “connected histories” in its use of ethno-philosophy. Ali, N. (2018, February). Jess Phillips, Lena Dunham and White Feminism. Retrieved from Media Diversified. https://mediadiversified.org/2018/02/06/jess-phillips-lena-dunham-and-white-feminism/amp/?__twitter_impression=true. Andrews, K. (2017, November 28). Re-engaging the Politics of Black Radicalism in the Age of ‘Black Live Lives’ (Hosted by CAPPE University of Brighton). Retrieved from YouTube. https://www.youtube.com/watch?v=c4InQ3bNBRw. Bethell-Bennett, I. (2018, April 27). On Colonialism and Postcolonial Structures of Racism and Inequality. Retrieved from The Nassau Guardian. https://thenassauguardian.com/2018/04/27/on-colonialism-and-postcolonial-structures-of-racism-and-inequality/. Bothwell, E. (2017, October 16). Universities ‘Generate £95 Billion for UK Economy’. Retrieved from Times Higher Education. https://www.timeshighereducation.com/news/universities-generate-ps95-billion-uk-economy. Browne, J. (2009, November 9). Browne Report: An Independent Review of Higher Education & Student Finance in England. Retrieved April 9, 2014, from The National Archives. http://webarchive.nationalarchives.gov.uk/+/hereview.independent.gov.uk/hereview/. Clennon, O. D. (2013, November 18). What’s the Problem with Black Masculinities? Retrieved March 13, 2014, from Media Diversified. http://mediadiversified.org/2013/11/18/whats-the-problem-with-black-masculinities/. Committee. (1963). The Robbins Report. London: Her Majesty’s Stationery Office. Available at http://www.educationengland.org.uk/documents/robbins/robbins1963.html. Crenna-Jennings, W. (2017, December 21). A Black Caribbean FSM Boy with SEND is 168 Times More Likely to Be Permanently Excluded Than a White British Girl Without SEND. Why? Retrieved from TES. https://www.tes.com/news/black-caribbean-fsm-boy-send-168-times-more-likely-be-permanently-excluded-white-british-girl. De Stefano, V. (2016). The Rise of the “Just-in-Time Workforce”: On-Demand Work, Crowdwork and Labour Protection in the “Gig-Economy”. Geneva: International Labour Office. Available at https://ecampus.itcilo.org/pluginfile.php/25267/mod_page/content/35/Conditions%20of%20Work%20and%20Employment%20Series%20No.%2071.pdf. Editor. (2018, June 26). Programme. Retrieved from Leeds International Mediaeval Congress. https://www.imc2018.co.uk/wp-content/uploads/2018/06/IMC2018_updated_programme_26June2018.pdf. GOV.UK. (2018, July 6). Multi-academy Trusts: Establishing and Developing Your Trust. Retrieved from GOV.UK. https://www.gov.uk/government/publications/multi-academy-trusts-establishing-and-developing-your-trust. Jackman, M. (2018, July 2). U.S. Court: Detroit Students Have No Right to Access to Literacy. Retrieved from Detroit Metro Times. https://www.metrotimes.com/news-hits/archives/2018/07/02/us-court-detroit-students-have-no-right-to-access-to-literacy?media=AMP%20HTML&__twitter_impression=true. Kai, M. (2018, August 21). Non-Compliant: The War Against Black Students’ Hairstyles Continues. Retrieved from The Glow Up. https://theglowup.theroot.com/non-compliant-the-war-against-black-students-hairstyle-1828489233/amp?__twitter_impression=true. Katz, J. (2005). TOUGH GUISE: Violence, Media & the Crisis in Masculinity. Northamption, MA: Media Education Foundation. Available at http://www.mediaed.org/transcripts/Tough-Guise-Transcript.pdf. Londesborough, M. (2016, November 24). Getting Clever with Culture. Retrieved from The RSA. https://www.thersa.org/discover/publications-and-articles/rsa-blogs/2016/11/cultural-learning-rcts. Marx, K. (1906 ). Capital: A Critique of Political Economy (S. Moore & E. Aveling, Trans.). New York: Modern Library. Available at https://www.marxists.org/archive/marx/works/1867-c1/index.htm (Version Used). Marx, K. (1975 ). Marx to Sigfrid Meyer and August Vogt. In K. Marx & F. Engels (Eds. ), Selected Correspondence (R. Kuhn, Trans., pp. 220–224). Moscow: Progress Publishers. Available at https://www.marxists.org/archive/marx/works/1870/letters/70_04_09.htm (Version Used). Mason, P. (2018, April 26). The Windrush Scandal Unmasks the Colonial Attitudes of British Conservatives. Retrieved from New Statesman. https://www.newstatesman.com/politics/uk/2018/04/windrush-scandal-unmasks-colonial-attitudes-british-conservatives. McKie, R. (2018, June 10). How Our Colonial Past Altered the Ecobalance of an Entire Planet. Retrieved from The Observer. https://amp.theguardian.com/science/2018/jun/10/colonialism-changed-earth-geology-claim-scientists?CMP=share_btn_fb&__twitter_impression=true. MEaP. (2018, July 9). Home. Retrieved from Making Education a Priority (MEaP). www.meap.org.uk. Narayan, U. (2004). The Project of Feminist Epistemology: Perspectives from a Nonwestern Feminism. In S. G. Harding (Ed. ), The Feminist Standpoint Theory Reader: Intellectual and Political Controversies (pp. 213–224). New York: Routledge. Available at http://publish.uwo.ca/~jbaxter6/narayan_non-western_feminism.pdf. NRCSE. (2018, July 9). Home. Retrieved from National Resource Centre for Supplementary Education. https://www.supplementaryeducation.org.uk/. Oxford Economics. (2017). The Economic Impact of UK Universities, 2014–15. Oxford: Oxford Economics. Available at https://www.universitiesuk.ac.uk/policy-and-analysis/reports/Documents/2017/the-economic-impact-of-universities.pdf. Stevenson, J. (2012). Black and Minority Ethnic Student Degree Retention and Attainment. London: Higher Education Academy. Available at https://www.heacademy.ac.uk/system/files/bme_summit_final_report.pdf. The National Committee. (1997). The Dearing Report. London: Her Majesty’s Stationery Office. Available at http://www.educationengland.org.uk/documents/dearing1997/dearing1997.html. Waghid, Y. (2016, July 29). African Philosophy of Education: A Powerful Arrow in Universities’ Bow. Retrieved from The Conversation. https://theconversation.com/african-philosophy-of-education-a-powerful-arrow-in-universities-bow-62802#. Clennon, O. D. (2014, May 21). What’s Education for, Privilege or Meritocracy? openDemocracyUK [website]. 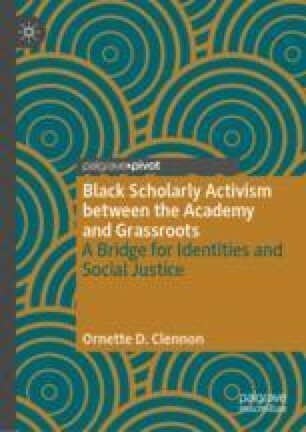 Available at https://www.opendemocracy.net/shinealight/ornette-clennon/what-s-education-for-privilege-or-meritocracy.